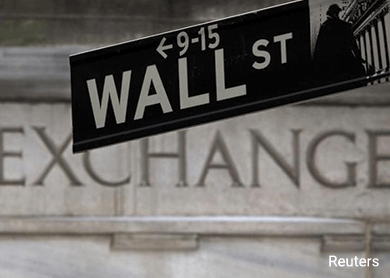 BENGALURU (Aug 19): Wall Street was set to open lower on Wednesday as Chinese stocks had another roller coaster ride and as investors await the minutes from last month's Federal Reserve meeting for clues on when interest rates will be increased. While the health of the U.S. economy appears to be stabilizing, the effect of the yuan devaluation and other macro factors are playing on investor's minds. The Fed minutes will be released at 2 p.m. ET (1800 GMT). Data showed U.S. consumer prices rose slightly in July as gasoline and food prices increased marginally, but a solid gain in shelter costs suggested inflation pressures were stabilizing enough to support expectations of a rate hike this year. Economists believe the Fed will probably raise rates twice this year, with the first hike coming in September, according to the most recent Reuters poll. Investors are still not fully convinced of a September hike, but most are betting a rate hike will occur by the end of year. "Right now, there is a 50-50 chance for a September rate hike," said Art Hogan, chief market strategist at Wunderlich Securities in New York. "If there is anything to push them away from September, it would be to get a better understanding of what a China economic slowdown looks like and the effect of possible additional stimulus there." S&P 500 e-minis were down 5.75 points, or 0.27 percent, with 177,531 contracts traded at 8:40 a.m. ET. Nasdaq 100 e-minis were down 9.5 points, or 0.21 percent, on volume of 27,644 contracts. Dow e-minis were down 69 points, or 0.39 percent, with 25,936 contracts changing hands. The stock futures pared losses after the CPI data, which showed the Consumer Price Index edged up 0.1 percent last month, marking the sixth straight month of increases. Earlier, Chinese stocks reversed sharp declines and ended higher after the central bank injected more funds into the financial system for a second day in a bid to calm panicky markets. Since the People's Bank of China devalued the yuan last week, investors are worried that Beijing wanted to engineer a much sharper decline to support weak exports. That has added to worries about the growth of the country. The Chinese market gyrations kept commodity prices under pressure, with oil and copper near six-year lows. Target shares jumped 4.9 percent to $84.21 in premarket trading after the retailer reported a larger-than-expected rise in quarterly earnings. Lowe's fell 1.1 percent to $72.20 after the No.2 U.S. home improvement chain's quarterly profit missed expectations. Yum Brands rose 1.2 percent to $85.25, a day after the owner of the KFC and Pizza Hut chains named new leaders for its China division as activist investors lobby the company to spin off that business.